North East MSP Liam Kerr has written to the heads of Lloyds Banking Group and Bank of Scotland seeking assurances that customers in rural areas will still be able to access local banking services. The Scottish Conservative was responding to reports that 23 Bank of Scotland branches will shut across Scotland, including eleven in the North East of Scotland. Mr Kerr has said it is vital that the bank increase its mobile service covering rural areas, particularly the towns and villages affected by the closures. .“However, there are still a lot of people out there who don’t use internet or telephone banking and want to have that face-to-face contact. "There is also the issue of the wider impact of the loss of high street banks in smaller towns or villages. In some areas, that could mean that the only option for residents to withdraw money is to use private autoteller services that will impose extra charges. “I know that Bank of Scotland already operates a mobile service, but often the bus may only be in certain areas for a very short time - that level of service will have to increase. 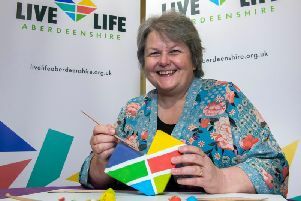 “I want to make sure that people living in the North East, particularly in rural areas of Aberdeenshire and Angus, are not cut off altogether. “It is important that the decision-making process has been backed up by hard evidence and that people in more remote areas will still be within a reasonable travelling distance of the nearest bank.